Buying school buses from industrial equipment auctions is a great way to save money. Whether you’re planning to add more buses to your school fleet or build a house on wheels, you can always find a suitable bus at online salvage auctions. When buying a school bus through industrial equipment auctions, however, make sure you thoroughly inspect the vehicle. 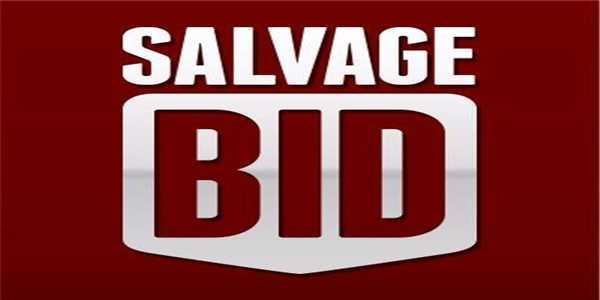 Continuing on the subject, we present a few key aspects to consider when buying a salvage school bus from salvage industrial equipment auctions. This is one of the topmost things you have to pay attention to. Get the engine checked. Find out if it’s in working condition and get an up-to-date service history of the vehicle. As it is a school bus, it will have a well-maintained service record. Try to get your hands on the records. In few cases, the engines on the buses tend to be replaced. Find out if the bus you’re about to buy got its engine replaced or not. If it was, ask for documentation and go through it carefully. Powerful engines need to work less hard when compared to engines with lesser power. Engines with a lesser capacity tend to get overworked and don’t last long. It is advisable to pick an engine with a greater capacity when you’re buying a salvaged school bus. Such engines need not work hard and last longer. Salvaged vehicles need a thorough visual inspection. Find out if there is new paint anywhere on the bus. This indicates a recent repair work. Once you are done with exterior inspection, move on to the interiors. Opt for buses with a solid flooring as it is sturdy and will last you longer. Inspect the dashboard and the instruments on it. Check whether all the instruments are in working conditions. Try having a professional mechanic by your side as they can inspect the vehicle better and give you an estimate of the repairs and replacements to be done. This is a less ignored yet a must-do if you want an accurate inspection and knowledge about the bus that you are considering buying. Salvage vehicles suffer many damages. Getting the underside of the bus inspected will help you detect leaks and rusts. We must also look at brake condition, suspension, steering and the driveline. Rust is your enemy and get the bus thoroughly inspected for it. A small patch of rust on the handlebars or on the interiors is acceptable. Rusting on the downside of the bus or considerably huge patches of rust at multiple locations is a bad sign. Buying buses with extensive rusting will be a poor choice. Check the condition and wear on the tyres. Most often, people ignore checking the tyres and end up spending a fortune over them later. Right before you purchase, inspect the tyres thoroughly. If the bus needs new tyres, consider the tyre change costs and add it to your budget. The salvage school buses sold in industrial equipment auctions can be a safe bet provided you know how to make your way through. It is therefore advisable to have a professional by your side who can carry out an inspection of the options available in salvage industrial equipment auctions. Only after a strict evaluation of the repairs and replacements you should go ahead with a purchase decision.